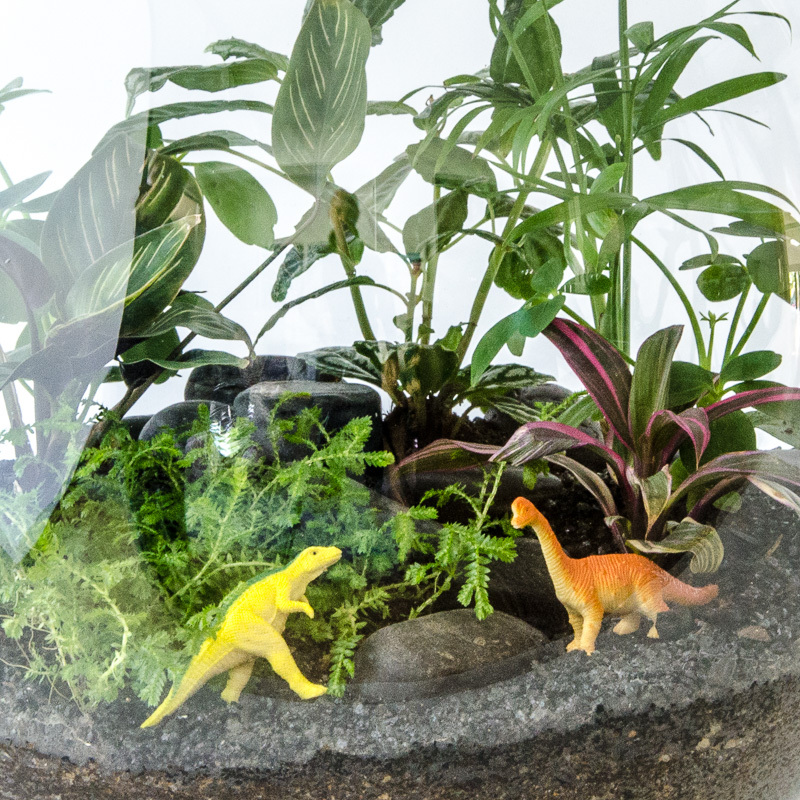 Just like the movie, the dinosaurs have come out of extinction to live in a ‘contained’ environment. Price includes 2 dinosaurs. Suggested addition: jungle stream.